For the first time, five councils of the Knights of Columbus District 21 of the Eastern Region of Pennsylvania joined forces to advance their mission to promote social welfare through charitable works by supporting the Gianna Center of Philadelphia with a Beef and Beer Casino Night on Saturday, March 9. The event drew about 200 friends and benefactors of the center to SS. Peter and Paul Ukrainian Catholic Church in Bridgeport. The Gianna Center serves women and families with natural and ethical options in reproductive health care using the Creighton Model and Natural Procreative Technology. 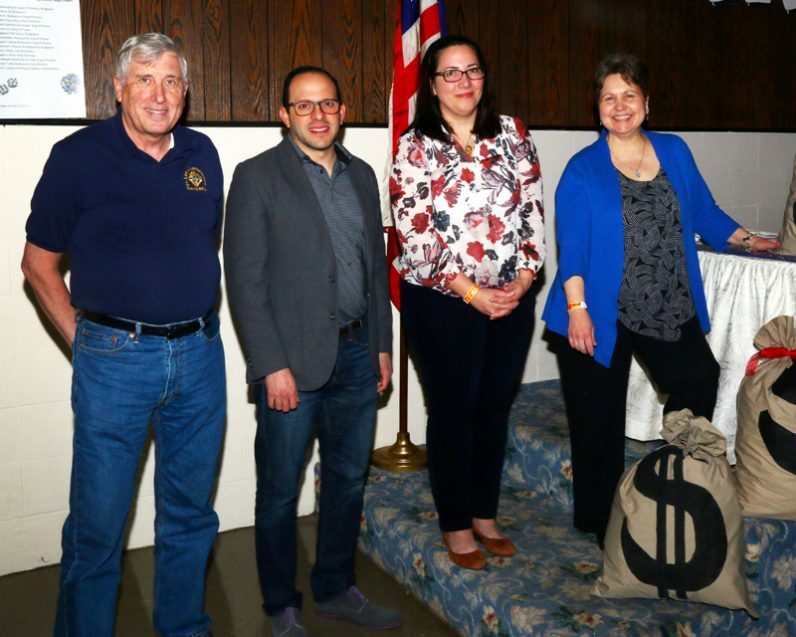 A high point of the evening was the presentation of a donation of $24,980 raised by the Knights in a separate fundraising initiative to cover the cost of a new ultrasound machine for the clinic. With proceeds from the night’s festivities, the Knights’ combined donation to the Gianna Center of Philadelphia totaled $30,000. 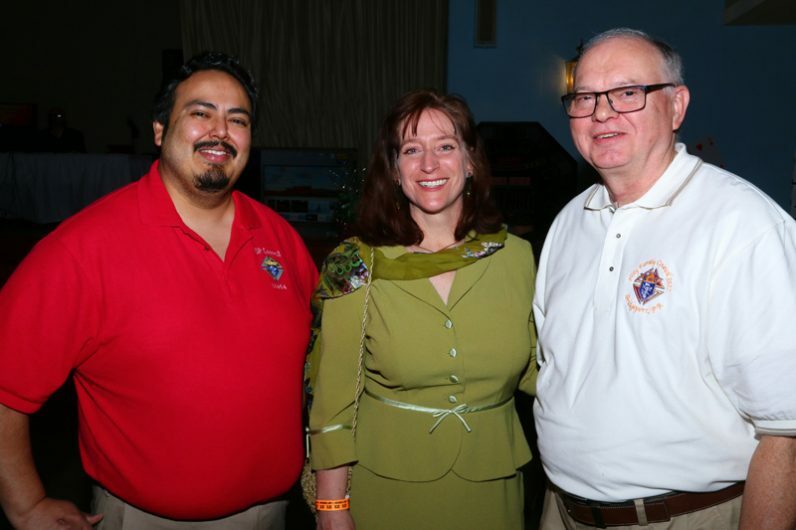 The event in the school hall began as the brainchild of Grand Knight Mark Kochanowsky, who has hosted similar celebrations for his professional associations and was looking for a way to build community among the Knights. Several Knights had heard about the Gianna Center’s work at the Rally for Life at Nativity of Our Lord Church in Warminster, home of the National Shrine of St. Gianna Molla, and at bi-lingual roadshows the Gianna Center has been conducting throughout the greater Philadelphia area. These efforts were supported by Carlos Medina, whose position as district deputy for District 21 enabled him to coordinate the participation of several councils in the region. The use of the school hall was donated to the Knights by the pastor of SS. Peter and Paul, Father Ronald Popivchak. In March the Gianna Center, which is affiliated with the National Gianna Center for Women’s Health and Fertility, welcomed the first NaPro baby nurtured under their holistic care, and in April the staff will be moving to new offices at Suburban Community Hospital in East Norriton. “It is with great pleasure that the Supreme Councils of the Knights of Columbus, the Valley Forge Chapter, and the following Councils and Assemblies support this fundraiser,” said Mark Nunan of the Knights of Columbus Valley Forge chapter on behalf of the National Knights of Columbus and local Knights. He listed the participating councils, in addition to private donations: Fulton Sheen Assembly, Perkiomen Council, Holy Family Council, St. Titus Council, Phoenixville Council, Pope John Paul I Council, St. Teresa of Calcutta Council, Fr. Letterhouse Council, Fr. Bally Council, St. Columbkill Council, St. Basil the Great Council and St. Nicholas of Myra Council. The Gianna Center’s Dr. Delia Larrauri accepted the donations with gratitude, and promised the Gianna Center would serve “all women, regardless of insurance or ability to pay. We want to help all women to live in the beauty of chastity and God’s love for them,” she said. Reflecting on the night, her thoughts turned to “the Blessed Mother, and how proud she must be of all her sons here, working so hard to protect women and children,” Larrauri said.